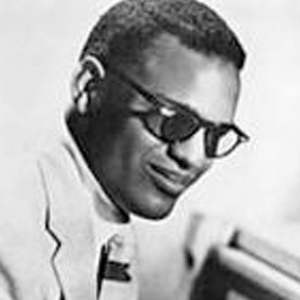 What do the hit song “What’d I Say” by Ray Charles and the atomic bomb have in common? Acclaimed music producer and engineer Tom Dowd helped engineer them both. Dowd was critical to the commercial success of Atlantic Records and helped to shape the recording industry that we know today. The quality of the sound recordings he engineered set the standard for the way records are tracked and mixed today. Behind the acclaim is the story of a well-rounded musician, mathematical physicist and technological visionary who helped revolutionize the recording industry by introducing new technologies that helped move music recording into the digital era and beyond. Thomas John Dowd was born on October 20, 1925, in New York City. He attended Stuyvesant High School in the borough of Manhattan and developed his musical proficiencies while performing in the school band. He had the ability to play a number of instruments including piano, string bass, trombone, tuba, violin and drums. His mastery of various genres led to becoming lead conductor in the band and eventually to a position playing with the Columbia University band. During these same years, Dowd was becoming a budding mathematician and physicist. After graduating high school in 1942, he was drafted into the United States Army and served as sergeant in the Army Corps of Engineers. Working on studies for the Office of Scientific Research and Development, his work would contribute to the development of the first atomic bombs during World War II. After serving in the military for four years, Dowd would merge his musical and scientific skill-sets to build an illustrious career as a sound engineer. In 1952, Ahmet Ertegun and Herb Abramson, the founders of Atlantic Records, met Tom Dowd at New York’s Apex Studios. By 1954, Dowd had become Atlantic’s full-time, in-house engineer and producer. “...the thing that has stayed the same all through it is music as a form of expression.” - Tom Dowd. Atlantic turned the top floor of its wood-framed brownstone at 234 West 56th Street into its headquarters, serving as office by day and studio by night. It was here that Dowd recorded such artists as Ruth Brown, Bobby Darin, John Coltrane, and Ray Charles. It was also here that he began to learn about many of the technical problems associated with early music recording equipment—which was largely defective radio equipment that had been purchased and repurposed for record manufacturing. Throughout the remainder of his career, he would use both his musical talents and scientific knowhow to help solve many of the technical issues associated with recording music. Tom Dowd’s efforts to eliminate the technical woes of the recording process helped expose music recording as a new artform. He pioneered the use of a series of new technologies in the recording studio and helped standardize a number of revolutionary recording practices that are still employed today. For instance, at Dowd’s insistence, Atlantic Records was the first label to issue “true” stereo recordings and to use 8-track recording in its studios. Dowd is also credited with being the first to use linear faders on mixing consoles (replacing hard-to-use Bakelite knobs). Tom Dowd is one of the reasons the recording industry in the U.S. remained so current and technologically proficient within the larger global recording industry at the time. National music markets outside of the United States had never seen some of the technologies Dowd was using in the Atlantic studios. Though we appreciate Tom Dowd for all of his many contributions, his primary objectives were to support musicians and aid in the capturing of special moments in time. Nevertheless, as evidenced by the endearing quality of his work, Dowd was truly a star in his own right and a one of a kind gem of the recording industry. Sources: Atlantic Records, Wikipedia, Sound on Sound, Allmusic, Tom Dowd and the Language of Music.